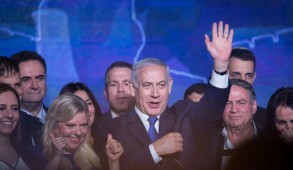 The enthusiastic response from Congress and the American people vindicated Prime Minister Binyamin Netanyahu’s dignified refusal to kowtow to President Obama’s unexpected attempt to impose further, potentially disastrous, demands on Israel. 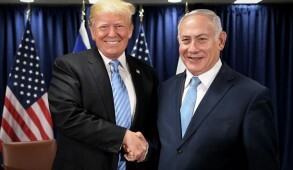 It also reflected the massive groundswell of American friendship for Israel, with opinion polls now registering a record support of 65% compared to 37% in 1988. Yet this will be a tough struggle. Traditionally, the White House determines US foreign policy, and in this case, indicators suggest that, desperate to avoid employing a veto in the UN Security Council, which would compromise his approach to the Third-World, Obama would even be willing to override public opinion and force us to accept his latest demands. A campaign is underway to pressure Congress to reverse its position, and a task force has been created to persuade Jews that Obama is acting in Israel’s interest. At a recent Jewish fundraiser, Obama stated that the administration would devote “all its creative power” to encourage Israel to review its policy. However, he also ominously remarked that unless his demands were accepted, “tactical disagreements between Israel and the US” would heighten. Much of the US liberal media continue their vicious efforts to discredit Netanyahu. NY Times columnist Tom Friedman even had the gall to describe him as “the Mubarak of Israel.” Jewish opponents of Netanyahu are also frenziedly attempting to obfuscate the damaging consequences to Israel if Obama’s demands were implemented. 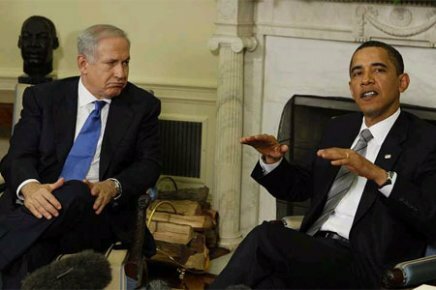 Although most American Jews remain highly supportive of Netanyahu – 75% acknowledge that the ultimate Arab goal is the destruction of the Jewish state – much of the US Jewish media bemoan the fact that by rejecting Obama’s proposals, Netanyahu “antagonized” him. 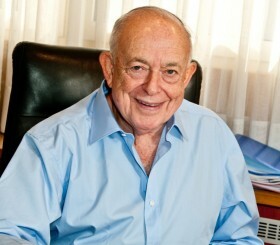 They overlook the fulsome praise he extended for the positive elements of the administration’s policy toward Israel. The silence of the Jewish leadership is even more disconcerting. Aside from the hawkish ZOA, there was no formal Jewish response to Secretary of State Hillary Clinton’s effort to coerce Israel to adopt the Obama formula, or to the widely reported new White House pressure on American Jewish leaders. In fact, World Jewish Congress leader Ronald Lauder even urged Netanyahu to try harder to persuade the Palestinians to come to the negotiating table – a somewhat bizarre request, considering that they refused to do so despite an unprecedented 10-month settlement freeze. But contrary to much of the media spin, Lauder told me unequivocally that he staunchly endorses Netanyahu’s rejection of Obama’s demand that Israel adopt the indefensible 1967 lines plus swaps as a starting point. Fortunately, public opinion plays a greater role in the formulation of US foreign policy than it does in most other countries. 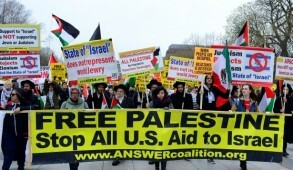 However, there is an urgent need to mount a sophisticated campaign to inform the American people and Congress why we are so opposed to the new demands and reiterate that on this issue, the government enjoys the support of the overwhelming majority of Israelis. In so doing, care must be taken not to compromise AIPAC’s commendable efforts to retain bipartisan congressional support. WE SHOULD point out that Israel is a sovereign state, and should not be expected to accept diktats from a US administration that has not merely reneged on the commitments of its predecessors, but has now established an appalling record of abandoning its allies and appeasing their enemies. This was reinforced by the most recent decision to “engage” with the Muslim Brotherhood, founders of Hamas – merely one of a series of initiatives to appease rather than confront jihadists. The president and his acolytes refuse to acknowledge that the new demands also represent an erosion of UN resolution 242, which never provided for “mutually agreed swaps” and are likely to inflict considerable harm on a longstanding US ally. But above all, we must explain how acceptance of the indefensible 1949 armistice lines would pose a long-term existential threat to us. Obama now concedes that the 1967 lines currently in effect would be inappropriate, but insists that land swaps will compensate for this. He disregards the fact that “mutual agreements” over “swaps” are dependent on non-existent Palestinian goodwill, and that Abbas has already stated he would only consider “minimal” swaps. Furthermore, even in the unlikely event that swaps were consummated, the Obama formula provides that the Palestinians would then still be entitled to introduce their demand for the “Arab refugee right of return” – a guaranteed prescription for the demise of the Jewish state. 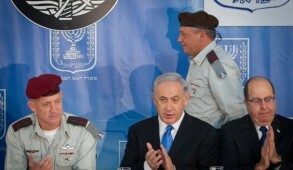 Hence, setting aside security problems such as rejecting any Israeli presence in the Jordan Valley and demanding a contiguous border, Netanyahu is obliged to reject these proposals in their current form, not because of domestic politics but out of real concern for Israel’s longterm security. It must be reiterated that since Obama’s election, Israel has made all the concessions and the Palestinians have ceded nothing, refused to negotiate, and treat us as supplicants. It is surely high time for the US to stop rewarding the Palestinians for their intransigence and cease treating them as our moral equals. That applies especially now, in the wake of the genocidal Hamas partnership with the PA, which may lead to Congress challenging its ongoing funding. EVEN IF Israel agreed to all of Obama’s demands, it is almost certain that the Palestinians would still find excuses to avoid meaningful negotiations. This would result in Israel forfeiting its only remaining bargaining chips without gaining anything in return. It is now time for the administration to demand the disbanding of the PA’s Al Aqsa Martyrs Brigade (recognized by the US as a terrorist group), and impose discipline against the ongoing incitement against Israelis and Jews at all levels of PA society. That, according to a report by the Pew Research Center, released in May, 68% of Palestinians to this day support suicide bombing says it all. Besides, how can a US president continue using taxpayers’ funds to sustain a blatantly racist regime whose leader, Mahmoud Abbas, repeatedly promises that “not a single Jew would remain in a Palestinian state”? Above all, we are surely entitled to expect our “unshakable ally” to call a spade a spade, inform the Palestinians that the US is fully aware that a ‘right of return’ for Palestinian refugees to Israel would end the Jewish state, and that that it categorically rejects such a proposal.